I am asked all the time how a job search coach can help you land a job, so I decided to blog about the answers I always give. First, as a job search coach, I am often mistaken for a recruiter, so one of the most important things to clarify is what I don’t do: I don’t introduce clients to prospective employers as recruiters do. Recruiters work for employers to find talent for specific job openings; job search coaches teach you how to be the type of candidate that recruiters and employers want to hire. 1. Ensure that your career focus is sufficiently clear and specific enough. If you don’t know what you want to do, it will be extremely hard to convince recruiters and hiring managers that you are the best choice for a job! If you need help choosing a career focus, I stop doing job search coaching and start doing career counseling to help you figure it out. Sometimes we discover together that you don’t want to find a job but instead want to create a business. 2. Teach you how hiring managers and recruiters think. 3. Evaluate your personal marketing materials like cover letters, resumes, and your LinkedIn profile to determine how effective they are and I make specific suggestions if you need to improve them. 4. Recommend networking strategies that work with your strengths and personality to enable you to meet more people in your career field. 5. Practice with you what you will say when you are connecting with people who may know of job opportunities that would be a good fit for you. 6. Coach you in preparation for job interviews. It takes skill and practice to be confident and persuasive rather than passive/timid or aggressive/arrogant. 7. Support you emotionally when the job search takes longer than you would like it to take (which is very common as hiring cycles can be long). I help you with staying persistent and resilient if you are discouraged and I help you to use time and energy management strategies that keep you feeling your best as job searches are often stressful. 8. Brainstorm ways to earn survivor income while you keep looking for the right job. 9. Assist you with salary negotiations because you don’t want the first time you practice asking for something to be the real negotiation with big financial consequences. If you need negotiations help beyond my level of expertise, I help you decide when to hire additional expertise such as an employment attorney to review your contract. 10. Guide your decision-making process to choose between multiple job offers so that the job you accept is more likely to be congruent with what is important to you. If you have questions about any of the above, feel free to ask questions in the comments below. 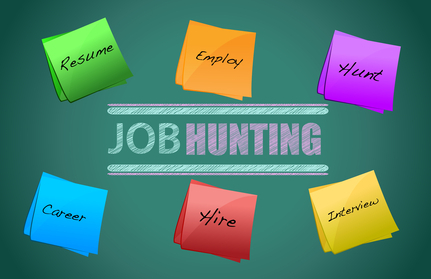 Also, if a job search coach helped you to land a job and you are willing to share your story, please share it below.